Tamworth limousine hire is a service that offers a popular and professional limousine service in the town of Tamworth, located in Staffordshire, England. As well as its thriving nightlife and shopping districts, Tamworth is home to many places of note. This includes the Snowdome, which is the United Kingdom's first full-sized real-snow indoor ski slope, and it is only a stone's throw away from Drayton Manor Theme Park, a 280 acre park that attracts well over a million people a year. 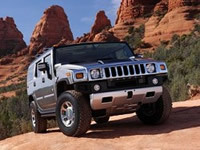 At Hire Hummer Limo we provide only the most spectacular limousines for hire, and that is why we specialise in Hummers. Our chauffeurs are certified professionals hand-picked carefully by us. They are well dressed and enthusiastic about taking you on the journey that you and your party will be talking about for years to come. Hire Hummer Limo is in compliance with VOSA laws. This means that each limousine ride is safe and secure, because every limo for hire has been individually checked and approved for the safety of its passengers. At Hire Hummer Limo, safety comes first, and then we take care of the fun parts. Hummer limousine hire in Tamworth has one of the best Hire Hummer Limo fleets available in the United Kingdom. From the standard Hummer cars to 8-wheeler behemoths, our limo for hire service is like no other. The Hummer H2 limo hire is an iconic limousine that has achieved status worldwide. It comes in a variety of colours, not just the usual white and black. This limo can be hired in orange and yellow perhaps for promotional events and pink for all kinds of parties such as hen nights, girlie birthdays and nights out with a bit of an edge. The Hummer H2 is definitely one of our most versatile limousines for hire and can be guaranteed to make any occasion more enjoyable. Our limousines for hire demand attention admiration wherever they go, and no limousine is more effective when it comes to this than the Hummer 8-wheeler. This nifty number comes with more gadgets than you can shake a stick at and it even comes with a number of special features exclusive to this model. This includes its very own VIP room located in the rear, which adds to the nightclub feel that is already in full swing after utilising some of the more basic features of this limousine for hire. It is indeed the ultimate party machine. 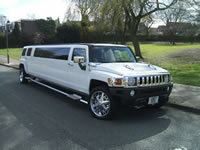 Hire-Hummer-Limo.co.uk offers a high quality range of limousines for hire. Please visit and explore the website for more information, including our wide selection of vehicles plus a detailed look at the options available with each limo for hire.